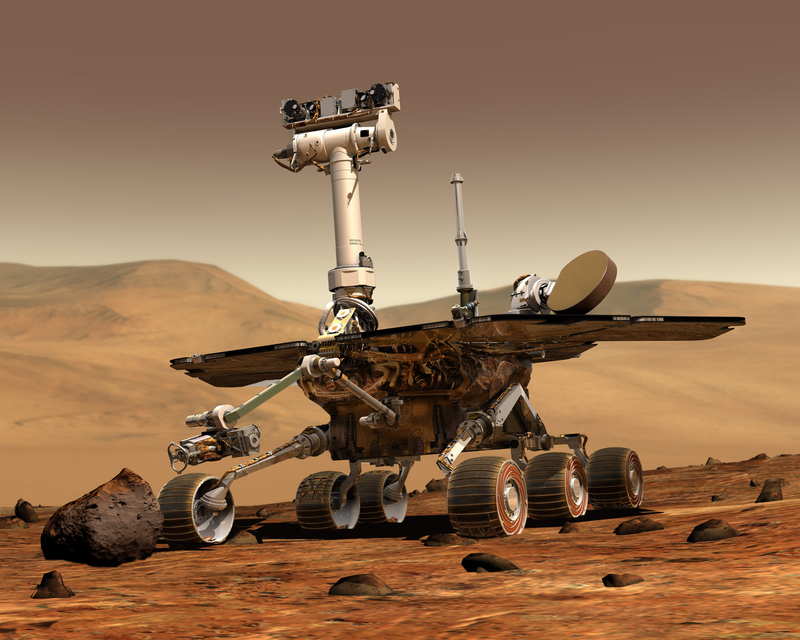 The Mars Exploration Rovers (MER) mission consists of two identical rovers, Spirit and Opportunity, which landed on opposite sides of Mars in January 2004. The Opportunity rover is still operating in 2016. The rovers are sometimes characterized as ‘robot geologists’, since their primary scientific goal is to search for and characterize a wide range of rocks and soils that hold clues to past water activity on Mars. The Mars/Mössbauer group leads the magnetic properties experiments on the mission. Which mineral is responsible for the magnetism of the dust and soil? What fraction of the airborne dust contains a magnetic mineral? The four rock abrasion tool (RAT) magnets. The capture magnet is designed to be as strong as possible to make it capture any magnetic particle within range, while the filter magnet is designed to capture primarily the most magnetic particles. The sweep magnet is designed to address the question of how large a fraction of the particles suspended in the Martian atmosphere is magnetic. The magnetic field of the sweep magnet is designed in a way that only allows non-magnetic particles to settle in the center of the magnet. The RAT magnets are integrated into the RAT, which is a tool for grinding into rocks. The RAT magnets are designed to detect magnetic minerals in the rock material ejected from the grinding process. It is possible to study the dust on all the magnets on the rovers with visible and near-infrared spectroscopy. Furthermore it is possible to study the dust on the capture and filter magnets with Mössbauer spectroscopy, alpha particle x-ray spectroscopy (APXS), and with the microscopic imagers of the rovers. Click the image for NASA's MER page, or click here for a high-resolution version of the picture. Image credit: NASA/JPL-Caltech. Results of the magnetic properties experiments of the Mars Exploration Rovers.